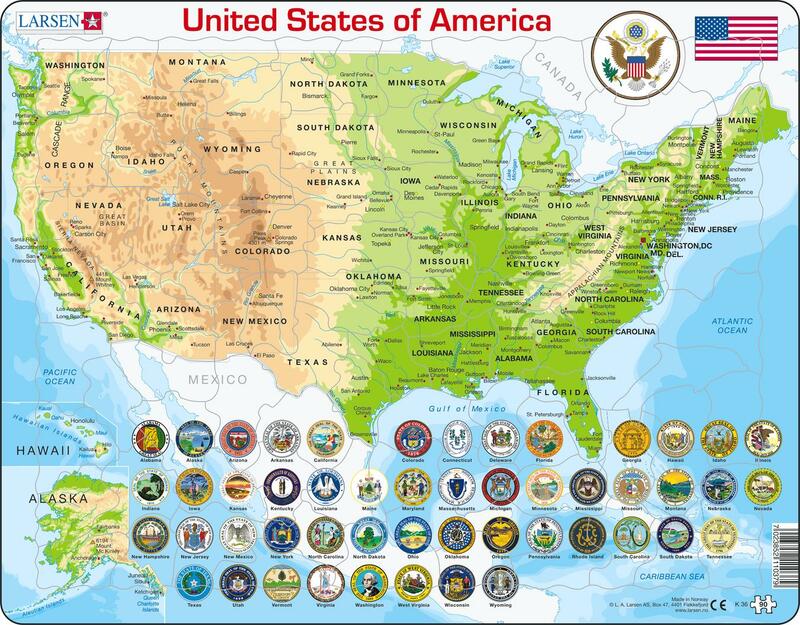 Help your child become more familiar with this physical map of the United States using this educational puzzle. Included are the states; state capitals; other important cities; mountain ranges; rivers; and lakes. Many of the puzzle pieces are cut along the coastlines and state- and country boarders. Under the map are the states seals.